Today is National Champagne Day. Most people bring a bottle of Champagne as a gift to New Year’s Eve parties. Add a book about Champagne, and your gift will be remembered long after the bubbles are gone. This is one of our favorites. (Find more of our favorite books in the Books Section of THE NIBBLE online magazine.) Happy New Year from all of us at THE NIBBLE! 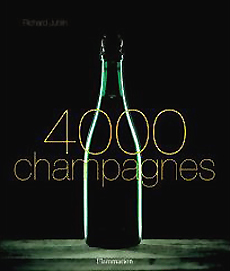 No one expects to get through all 4,000, but there’s lots of educational information about Champagne itself.